Entries in New Zealand’s most prestigious competition for extra virgin olive oil closed on Friday 6th September, with a total of 75 entries received. 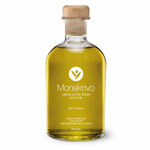 The 2013 New Zealand Extra Virgin Olive Oil Awards have attracted entries from the major olive growing regions across the country. The Awards judging will be carried out at Massey University’s specialist food tasting laboratory at their Albany Campus from 16th to 18th September. The judging panel comprises six trained and experienced international and New Zealand olive oil tasters. The Head Judge is Sue Langstaff from California, complemented by Richard Gawer and Peter Olson from Australia and Charlotte Meehan, Hilary Fenemor and Raffaela Delmonte from New Zealand. 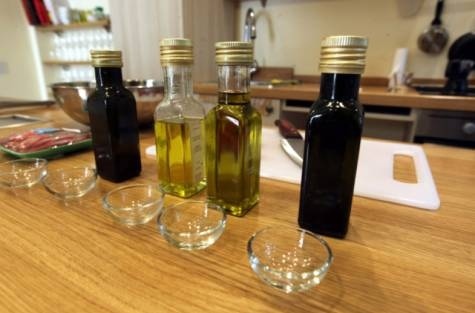 All of the judges are formally trained olive oil tasters and very experienced as judges. The Awards Dinner will be held in Christchurch on Saturday 28th September, at which the award winners will be announced. The premium awards are the Best in Classes, Best Boutique and Best in Show. There is also a special award for Best Label and this year there is an additional trophy for Best Processor. Head Judge, Sue Langstaff, is a sensory scientist working for her own consulting company, Applied Sensory, LLC in California. She is the leader of the University of California Davis Olive Oil Taste Panel and is a member of two other olive oil taste panels: the California Olive Oil Council Taste Panel and the University of California Cooperative Extension Olive Oil Research Taste Panel. Sue was a judge this year at the Los Angeles International Olive Oil Competition – Northern Hemisphere and has judged four years for the California Olive Oil Competition.